Good match, but short. Jordan started, Gable came in and dominated for a little while before getting in trouble, then Jordan came in to clean up. Nothing out of the ordinary here. From RAW, Sheamus and Cesaro had a match against New Day. From RAW, Mick Foley lectured Sasha and Charlotte about Hell in a Cell. Pretty good match. It felt uneventful, but Crews had some impressive moves. From RAW, Seth Rollins had to face both Jericho and Owens in a triple threat match. A pretty average show. It wasn’t bad, but if you miss this one you wouldn’t be missing much. 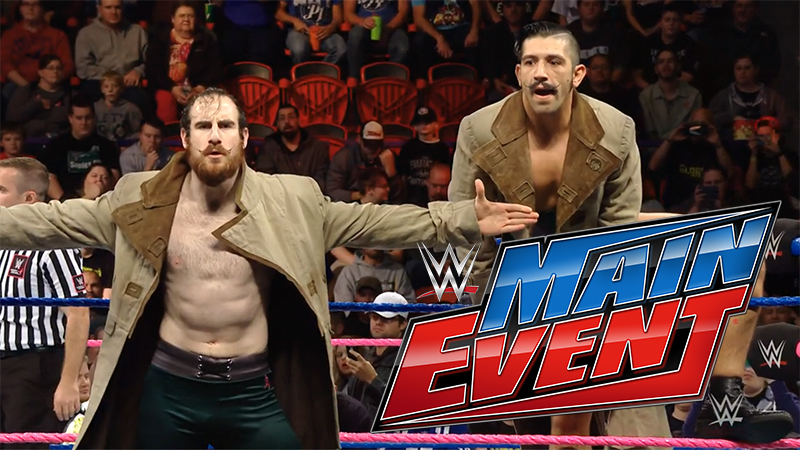 I wanted to like the main event more, but I just couldn’t get invested in it. Crews is an impressive athlete, but his matches aren’t necessarily as good as one would hope. This tag match wasn’t anything special, but it was solid and entertaining.